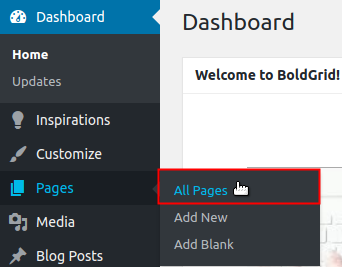 Working with Staging and Active Pages is simple thanks to the WordPress Staging Plugin by BoldGrid. You can utilize this staging environment to securely create or update pages before deploying them to your live site. Understanding Development Groups for pages is crucial to ensuring that updates are not visible live, on your active site. The following guide will provide the instructions for how to work with Staging and Active Pages to add to and update your website. Creating a page in the staging environment allows you to add pages to your website without having to put your website in maintenance mode. This is because while your Active site remains online, your Staging site is not visible to the public and only accessible via the BoldGrid Administrative Dashboard. Once you finish creating the page, you can launch it live by changing the Development Group from Staging to Active. The following steps will describe how to create a page in the Staging Environment. 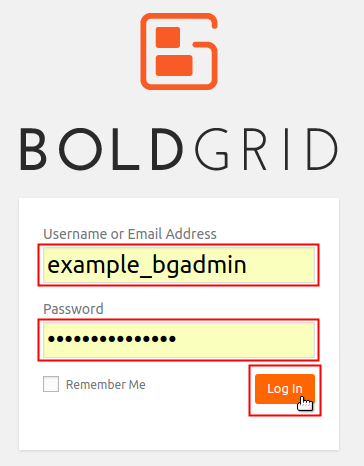 Log into your BoldGrid Administrative Dashboard . 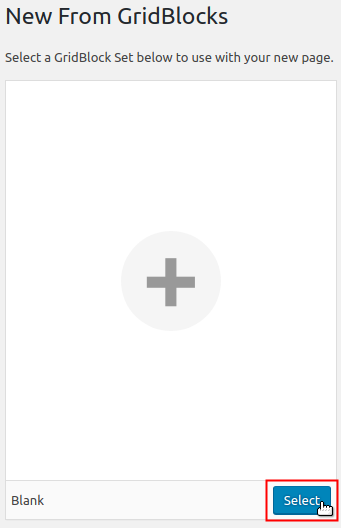 Hover over Pages from the menu to the left. Then click on Add New. Hover over Blank and click Select. Enter the name of the page in the Enter title here field. 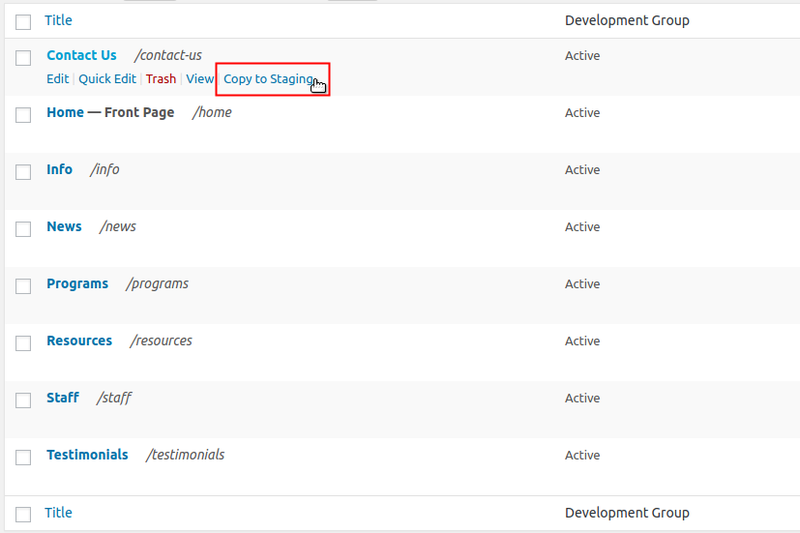 Under the Publish column, click the Staging Development Group radio option. 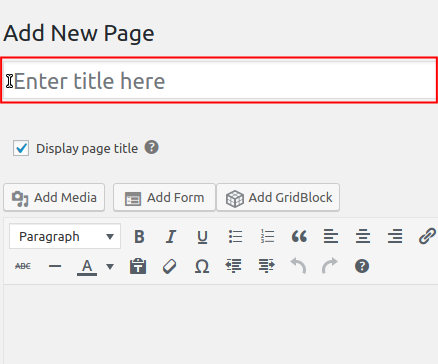 Click on the Publish button to save your new Staging Page. When using Staging and Active Pages, they are easily identified by their categorized Development Groups. A live website page is labeled as Active and a staged website page is labeled as Staging. To privately make updates to an existing live page, you can duplicate the Active page into the Staging Environment, make your changes, and finally launch the updated page. The directions below will provide the steps for how to clone an Active page to the Staging Environment. Hover over Pages from the menu to the left. Then click on All Pages. Hover over a page title with the Development Group label Active and click Copy to Staging. Repeat this step for each page you would like to clone from your active site to your staging site. 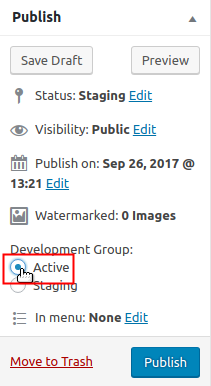 When you are working with Staging and Active Pages, use the Development Group label to identify which site they belong to. You can proceed to make changes to any pages in the Staging Development Group without affecting your live website. Once you are satisfied with your new Staging page and want to launch it live, continue on to the next section to learn how to launch the Staging page to the Active site. Whether you created a new Staging page or cloned an Active page, you can change the Development Group to Active to launch it to your site live. The following sections provide the steps for how to launch a new Staging Page live and how to launch an updated (cloned from an Active Page) Staging Page live. If you created a new Staging page to add to your website you can simply change the Development Group to launch it live. Below are the steps to launch a new Staging page live. Hover over the Staging page you want to launch live and select Copy to Active. If you updated a Staging page that was previously cloned from your active site, you will need to replace the live page with your updated staging page. For this reason, you must follow the steps below to launch an updated page live. Hover over the page with the Active Development Group and click Trash. 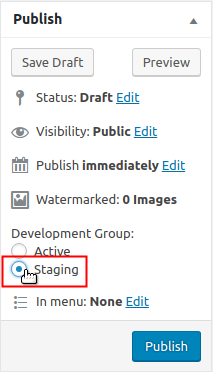 Hover over the page with the Staging Development Group and click Edit. Click the Edit button to the right of Permalink:. Remove “-staging” from the URL/slug. Then click OK. Under the Publish column, select the Active radio button for Development Group. 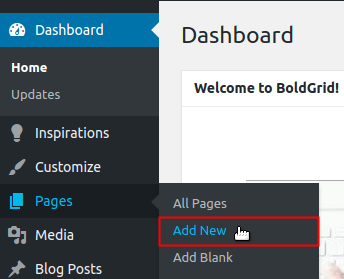 Click on Publish to save your changes. Congratulations! You now know how to work with Staging and Active Pages to create new pages and update existing pages. All this can be done without disturbing your live site because of BoldGrid’s Staging Environment. For more advanced tutorials be sure to check out more BoldGrid Advanced Tutorials.